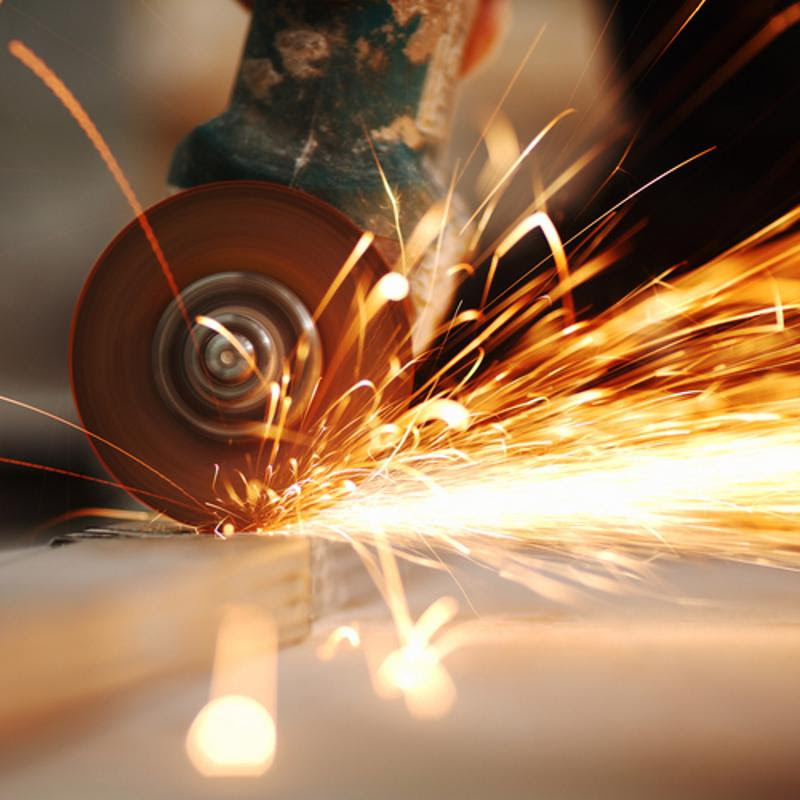 Are your employees using power tools in a safe and approved manner? Safe tool use is an essential part of avoiding workplace accidents. Power tools are a curious part of any professional environment. They’re so common and integral to day-to-day tasks that it’s easy to take them for granted. However, that attitude could lead to unexpected trouble, as improper use of gear can lead to serious consequences, including potentially severe injuries to employees. There are regulations and best safety practices fort how employees should operate tools day-to-day, and there’s never a bad time to make sure your organization is in line with these practices. Rather than risking fines from the Occupational Safety and Health Administration (OSHA) or suffering a preventable injury in the workplace, it’s important to familiarize yourself with the latest power tool usage rules. Depending on the kinds of items your particular industry uses, there will be specific and relevant rules on the books. OSHA’s handbook on the topic of power tool safety offers an important reminder that “power” doesn’t just mean electricity. Hydraulic, liquid-fueled, powder-actuated and pneumatic gears also count as power tools for safety standards purposes. Some regulations involve the tools themselves, like ones that denote they must have guards and switches to ensure they don’t harm users. Others are aimed at the personnel who operate the machinery, like those stating workers have to wear the right personal protective equipment (PPE) and use the equipment solely in approved ways. Managers of workplaces also have some responsibilities, including setting up a safety-conducive environment. Furthermore, users must be trained in the proper operation of their gear. Sending employees into the workplace without preparation to use critical equipment is a recipe for problems. Sometimes, the requirement of training becomes especially pressing – certain types of equipment shouldn’t be used at all unless the workers in question have received intensive training. For example, OSHA compares powder-actuated tools to “a loaded gun.” Firing materials from their muzzles at high speeds, these tools can be deadly when used improperly. OSHA demands workers wear adequate PPE to keep their eyes, ears and faces safe. They must also use the gear properly every time, selecting an appropriate level of power and following very specific procedures if the tools misfire. Operating powder-actuated tools in safe environments is another key stipulation, as is never leaving them loaded and unattended. Electrical items are another category of tools with specific rules associated with them. This is because the danger of electrically powered gear is twofold. The danger of electrocution or burns due to unsafe environments or improper grounding goes hand-in-hand with blades, sharp edges or other dangerous aspects of the tools themselves. OSHA noted employees must guard against electrical shocks of all levels of intensity – even a mild discharge could cause cardiac problems, or cause an injury due to fall if the worker is in a high place when using the tool. Safe tool use can be encouraged through training. Creating workplaces with tight power tool regulations and preparing workers for their use does more than keep people safe. Electrical construction trade publication, Electrical Contractor, recently laid out some of the benefits of running a well-managed workplace regarding tool use. For example, having an individual on-site with training in safety preparedness ensures the workplace is productive and efficient. What’s more, when safety oversight comes from someone other than a company owner in a specialized field such as electrical work, management effectiveness increases. Electrical Contractor offered a few other useful general tips around correct tool operation. For instance, personnel shouldn’t treat battery-based electrical tools any differently than those that plug in. Moreover, workers should check their gear at the beginning of a shift. This may seem like a waste of time, but it gives employees an extra opportunity to detect and correct any faults. This proactive approach could prevent accidents and save more than just time. The following are a few of the specific training courses that can prepare workers for the issues they may face when operating any type of tool at work. These training modules cover a spectrum of uses and specifications, as no one overview could account for all the many relevant situations. Hand and Power Tool Safety and Construction Edition: As with other OSHA-regulated aspects of workplace safety, tool operation rules and best practices vary between general enterprise settings and the construction industry. In light of those differences, there are separate video training courses for each of the two environments. Preventing Electrical Shock: To the Point: This course is designed to keep electrical-equipment users safe, no matter the type of environment they work in or the exact nature of the tools in their workplaces. It’s designed to be wide-ranging because the sheer variety of powered devices is incredibly wide. Safety Housekeeping and Accident Prevention: Sometimes, safe tool maintenance and usage are closely associated with other kinds of workplace behaviors. This course includes equipment inspection and maintenance as part of safety-enhancing workspace maintenance. Tool use is an indelible part of the modern workplace in many industries – and training is essential to ensuring these devices are operated safely. This entry was posted in OSHA, Workplace Health and Safety and tagged employee health and wellness, OSHA. Bookmark the permalink.